Something we noticed early on with Tigger was his logical brain. When he would play with his toys as a toddler you could see him trying to figure out how it worked and how he could operate it. Over the years this has been translated into his love of train sets and LEGO building. Three cherry trucks are on the way to their next destination. Can you help them stack everything properly, so it all fits in the back of the truck? Load up the truck(s) with its cargo ensuring that it does not protrude over the edge of the cargo holder – the cargo holder doesn’t have to be completely filled to complete the challenge. There is only one solution for each of the 48 challenges which you can check whether they have got it correct by flipping the page over. Tigger is in the middle of the target age group for the SmartGames Trucky 3 (ages 3-8). We decided that it would be easier to start at the beginning of the challenge booklet and work our way through the challenges to see how difficult they would be. Tigger managed to work out the starter and junior challenges and has just started to crack most of the expert ones without any assistance. 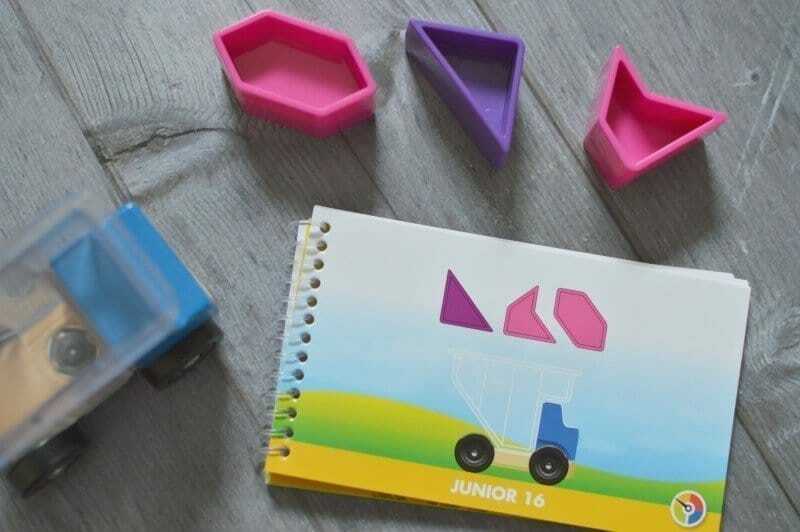 The bright and colourful blocks really stand out when placed in the cargo holders of the trucks aiding the problem-solving. 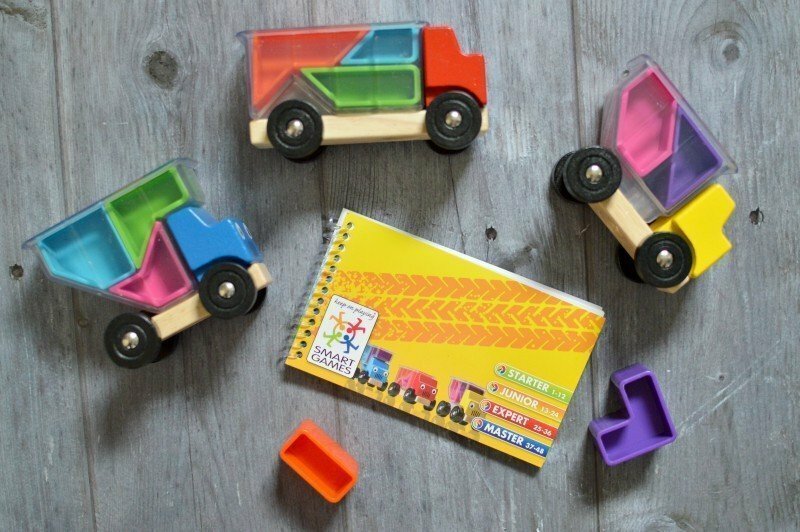 Unfortunately, the trucks and the blocks are not able to be stored back in their original box once opened due to an open front. We managed to solve this by placing everything in a drawstring bag which can be labelled on the front with a Sharpie. Disclosure: We received a SmartGames Trucky 3 FOC for the purpose of review. These are very sweet and such a clever idea with the flash cards to help. Love them! What a great idea, I love that it makes them think about it and the logic but also they will love playing with them too.